Justin Timberlake and Kun Aguero. 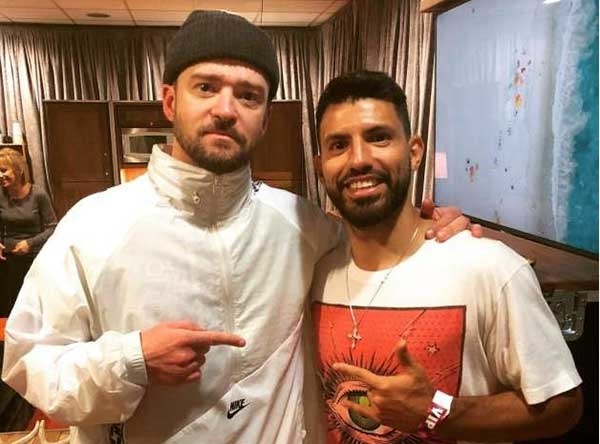 Manchester City striker Sergio Aguero met international pop star Justin Timberlake after his concert in the United Kingdom. Manchester City striker Sergio Aguero has been having some fun ahead of their EPL match against Newscastle on Saturday September 1. He took time out during the week to watch American pop star, Justin Timberlake perform live in Manchester. Fans would hope this helps the Argentinian striker shake off the disappointment of firing blank against Wolverhampton Wanderers at the Molineux, which saw them drop points.